Even though this was the fifth Born – Free, there were many first time attendees. I’ve had the opportunity to experienced most of them; think I only missed two due to conflicting schedules. I often wonder what a first timer perceives as they walk through the belly of the beast. Luckily Matt Storms, our Arizona contributor, was on location and he was kind enough to give me his thoughts on the event. Pure sensory overload is one way I would describe Born Free 5. This year’s show was my first Born Free experience, and all I can say is wow. I had only heard about the event and had seen some pictures and video footage from past events. None of it had prepared me for the actual event itself. 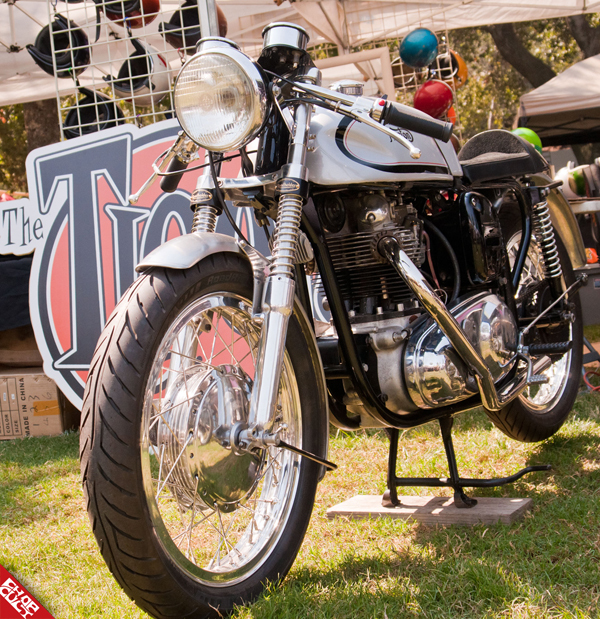 I didn’t know what I wanted to do first, go hit up the vendors or go straight to the bikes. 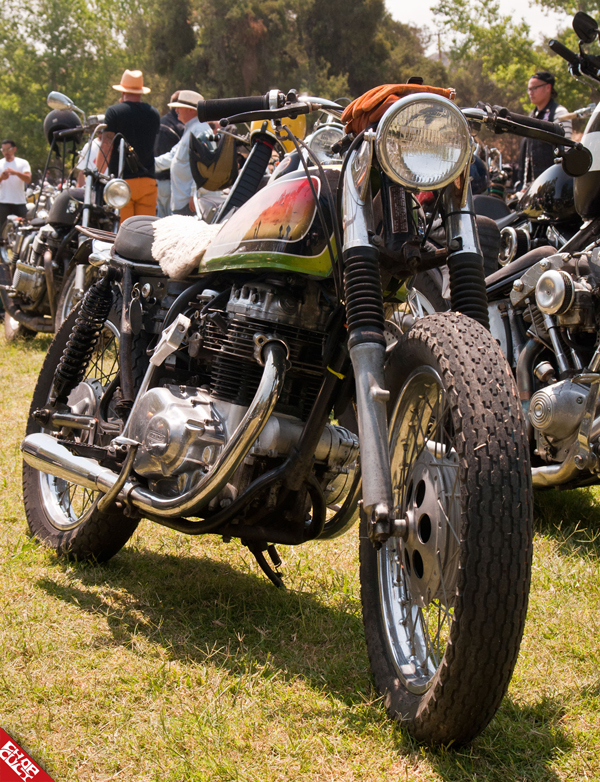 Having grown up about 40 miles from Sturgis South Dakota, I’m no stranger to bike shows. I’ve spent 20 plus years going to the Sturgis Rally, which is a pretty big event and I can honestly say that I found it much harder to get around to seeing everything at Born Free than Sturgis. Mike Davis and Grant Peterson have done an amazing job packing so much awesome into what seems like a small area in comparison to Sturgis. My mind was blown by all the bikes that were there, every bike had it’s own look and feel versus your standard bagger or OC style chopper which occupy a large portion of the bikes at Sturgis. I wish I could pick one or two great builds and carry on about them, but there were just to many to be able to pick even one. 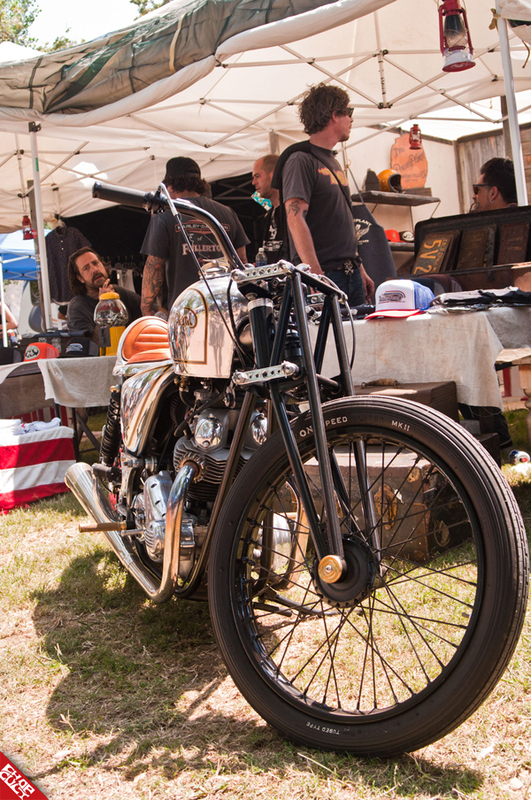 Inspiration and ideas for my current build were running wild as I wandered through the field of bikes outside the vendors area as well as the ones inside, I felt like a kid in a candy store. 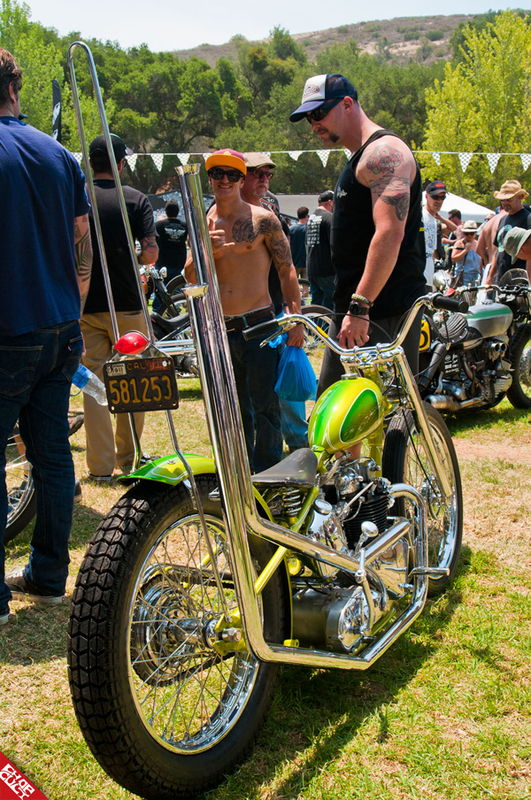 I unfortunately didn’t get around to seeing every bike inside the show area, not to mention the sea of bikes out in the parking lot. Granted I didn’t win the bike give away, but I had a great time survived the heat and got to see some awesome bikes and meet some new people in the process. I also had the opportunity to photograph the event for Chop Cult, which I would like to thank Lisa Ballard for giving me the opportunity to shoot this event as well as write an article for it. I would also like to thank Mike Davis and Grant Peterson for putting on such a stellar event and putting in the man hours to make it happen. I will definitely be coming back next year with raffle ticket in hand. Matt's lens caught the essense of a portion of the world I live in. 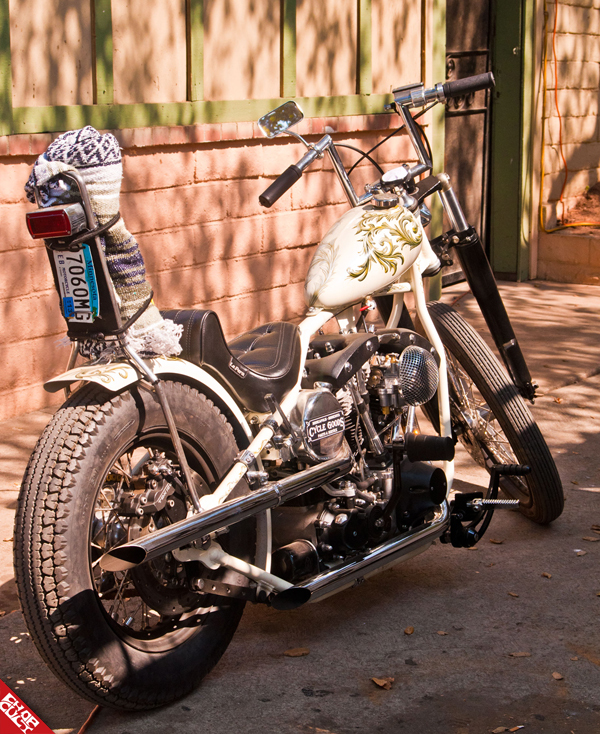 Its cool how many different styles have morphed out of the garage bike builder world we share. This corner of the bike world is growing steadily. It was a great time, I could look at pics all day from the show and still see so much that I missed while I was there. Keep up the good work Matt. Some beautiful scoots, though I can't imagine what spectacular level of historically-ignorant brain damage is required to paint USAF insignia on a BMW. 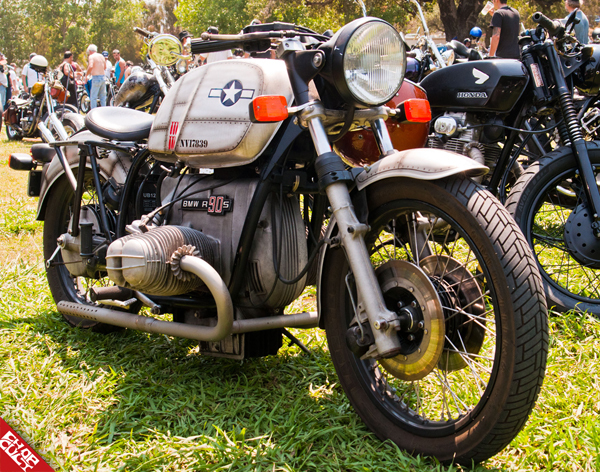 For the historically-challenged, Beee...Emmm...Double-U is a fine _German_ motorcycle company famous for making motorcycles for the Nazi Wehrmacht. Bimmers and their riders are what USAF aircraft strafed, bombed, and rocketed whenever their pilots got the chance. Great rides, I've owned two Airheads, but I wouldn't defile US Air Force insignia by putting them on "enemy iron". Bimmers look better in field gray anyway. Not sure what 1rickordonez is talking about. Historically speaking Great Britain (Triumph) has been a monarchy and is now parliament ruled with a figurehead monarchy. Japan (Honda, Suzuki, Yamaha) started out feudal, went to an Imperial rule, and is now pretty democratic. Germany (BMW) has pretty much been every form of government EXCEPT communism. Communist bikes would only include the Hyosong (rarely chopped) and the Ural (assuming it was built before the dissolution of the U.S.S.R.). But holy jeepers ya'll! Did you see that reverse head monster with the hoover velocity stack sucking up whole rocks off the front wheel! I'd ride the crap out of it and I don't even know what country it's from!